Join us in our journey and our love of Rum! "Rumming /'rʌmɪŋ/ can be described as a fun experience, which involves a bit more than drinking rum; it is the appreciation of the rum: its origin, characteristics and history, and the journey of discovering new rums. As any fun things, you can enjoy Rumming on your own, with friends and/or your soul mate!" 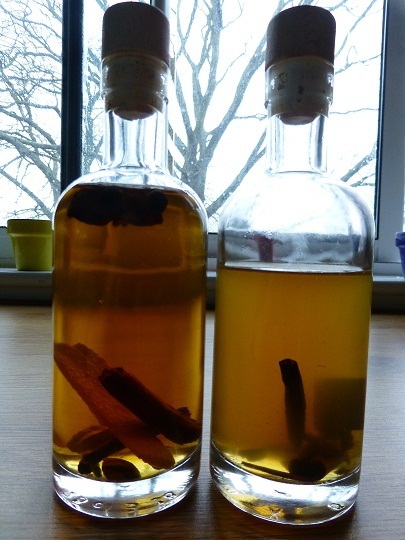 A good spiced rum is hard to find in the main high street players (Chairman’s Reserve at Waitrose excluded) so I decided to make my own! 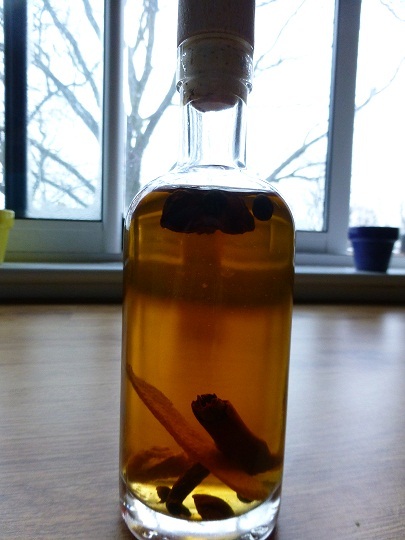 Half a cinnamon stick, 2 allspice berries, a chunk of root ginger, a chunk of nutmeg, a clove, half a star anise, a shaving of orange peel (no pith as this gives a more bitter taste) and a third of vanilla pod. I took an early taste after 1 night of infusing and it was already starting to come through so I’m looking forward to more developed flavours this weekend. We also dabbled with a simpler ingredient mix – honey, cinnamon and vanilla, which in fact hasn’t added too much sweetness. Rhum J.M VSOP makes “Top 100 spirits of 2018” in the Wine Enthusiast Magazine!